This is the bible of beauty – I’ve seen this magazine sitting on the shelf at magazine stands, book stores and glanced through it but never purchased it, it looked like just a lot of advertising. Until I saw Madonna on the cover and bit the bullet. 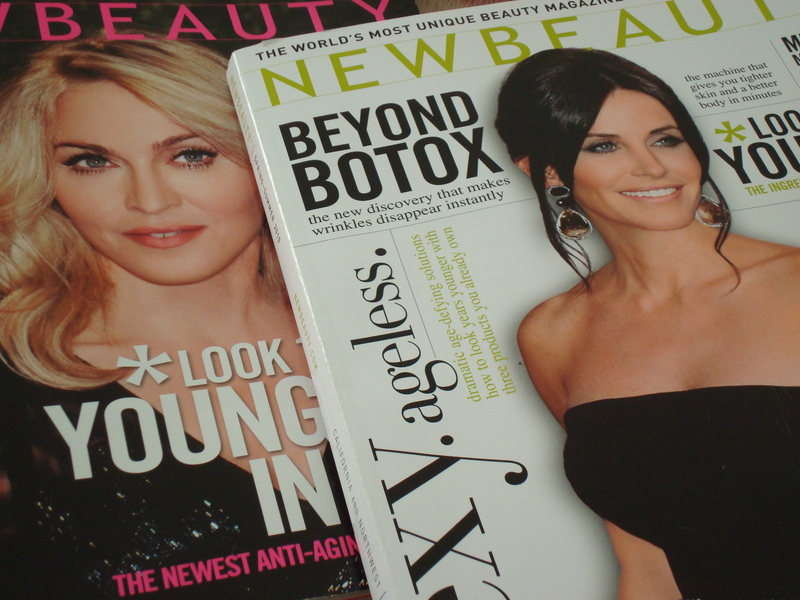 I’ve been in love with it ever since – I’m constantly reading New Beauty cover to cover, it’s the most informative magazine out in the market today. It’s all about women’s health, and self-improvement. New Beauty explains what products work best for specific beauty issues, and gives you the names of the products that have the best reputation. It’s a glossary for those of us contemplating surgical procedures and looking for the long-term effect of using age appropriate beauty products, because let’s face it, sometimes we need more than just a good moisturizer. This magazine gets a TEN! I don’t know about you, but I’m getting age appropriate! New Beauty also offers daily beauty give aways – www.dailybeauty.com sign up today! !